To kick things off, we’ve cherry-picked 5 Featured Contracts to be added to the game. All Featured Contracts are created by members of the community and then added to the game for all players to enjoy. 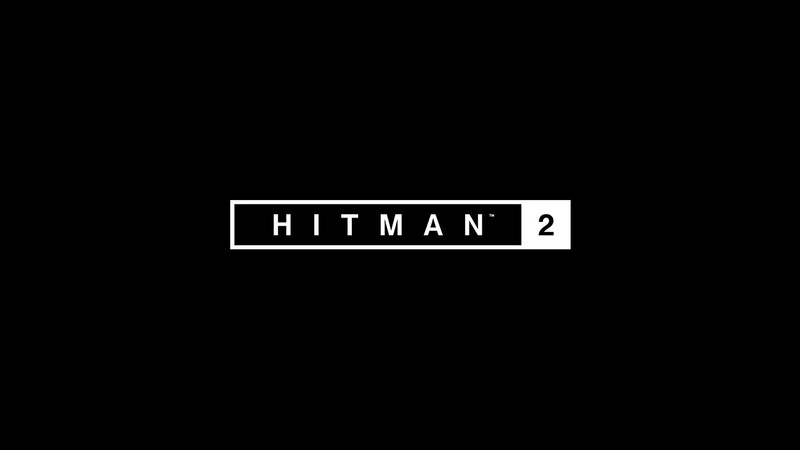 For HITMAN 2, we will pick our Featured Contracts based on themes – and the first is ‘Occupational Hazards’, as all contracts are focused on jobs, occupations and professions. Later this month, we’ll share information on the theme for January and how you can submit your contracts to be included. 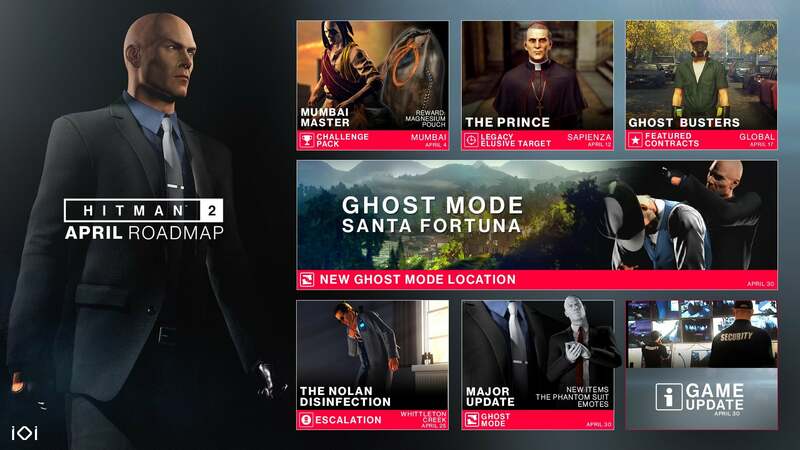 Escalation Contracts focus on your skills as Agent 47 and how you can adapt your playstyles to the various complications that we can throw your way. Escalations are not necessarily about immersion, but definitely give you a gameplay challenge. Our second Escalation Contract (we’ve already released one in Santa Fortuna!) takes you to Isle of Sgail and we think it’ll be a memorable visit. 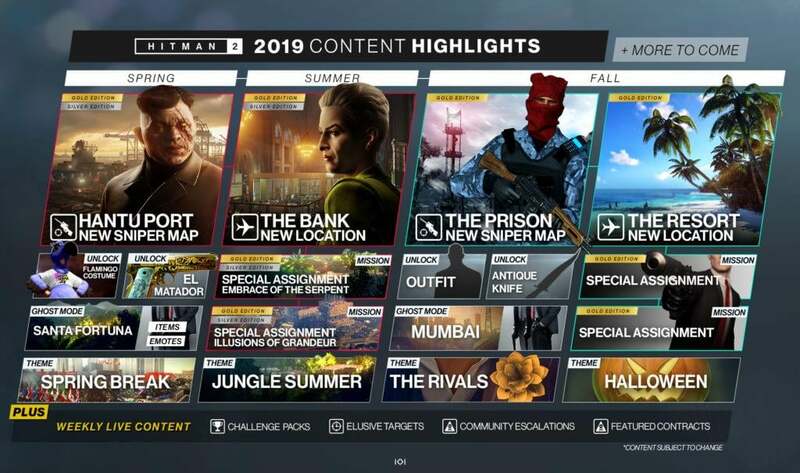 A new Elusive Target will arrive in Santa Fortuna for 10 days and you’ll be able to unlock the Casual Tourist with gloves suit if you manage to complete it. We wrap up the month (pun intended) with an Escalation in Santa Fortuna. Enjoy! ** Available for a Limited Time Only ** Say Happy Holidays with an explosive snow globe and other mystery gifts! 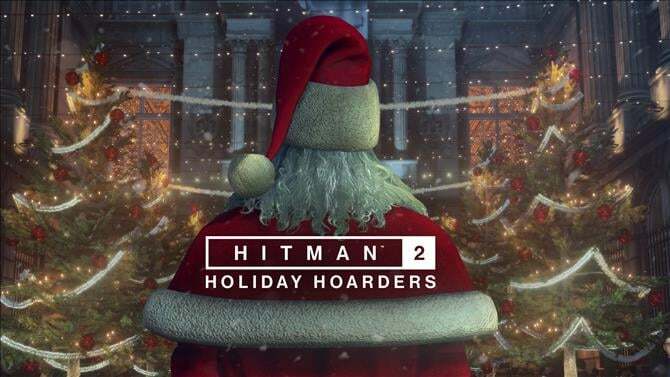 Download the full Legacy Paris mission for free in HITMAN 2 and get access to our seasonal 'Holiday Hoarders' contract, where two thieves have gained access to the Paris fashion show and are stealing all the presents. As Agent 47, it's your job to stop them, for good. Players who download the game for free will have full access to everything included in the Legacy 'ICA Facility' location and the Legacy 'Paris' location. 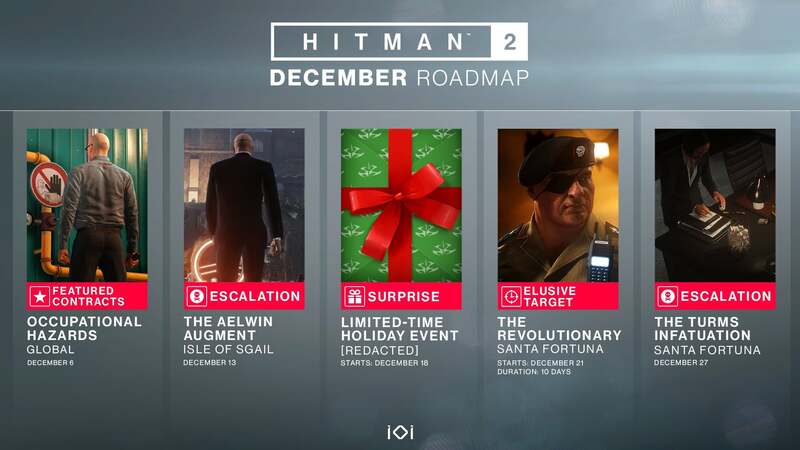 - 3 Story missions - 3 Escalations Contracts - 120+ Challenges - 20+ Achievements Holiday items are usable in the Holiday Hoarders mission only. Game access lasts for the free period. Saved progress will transfer to the full game if purchased.